Yellow nail syndrome is a medical condition which includes the pleural effusions, lymphoedema, discoloration of the nails. 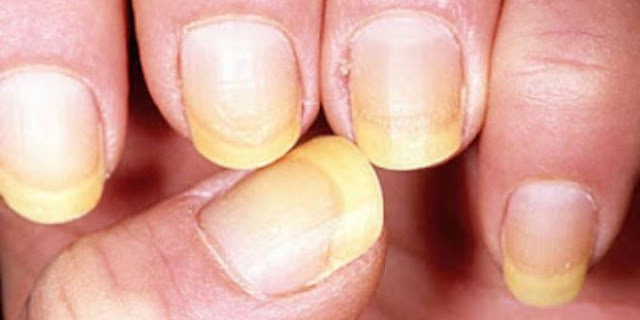 The exact cause of the yellow nail syndrome is not yet known though it is usually associated with patients with bronchiectasis, kidney disease, liver disease, thyroid disease and psoriasis. It may even be caused by ingestion of arsenic poison or by an injury where there is crushing if the base of the nail and where the nail is exposed to nail polish for a long time. Symptoms includes the swelling of the blocked or damaged lymphatic system. Usually it is manifests through the yellowish colour of the nails.